Digital mortgage leader Maxwell today announced the release of Maxwell ApplyID(TM), its next generation mortgage loan application and data enrichment API. The new release will enable clients - from brokers to national mortgage lenders - to pre-populate loan application data and develop new customer intelligence capabilities. 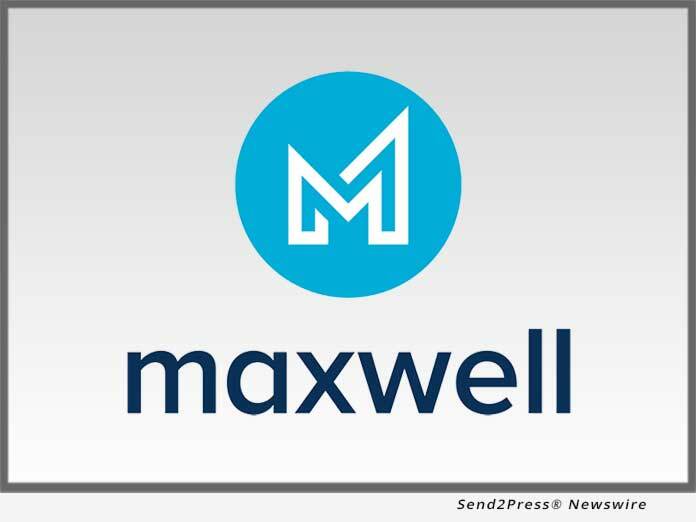 (DENVER, Colo.) -- NEWS: Digital mortgage leader Maxwell today announced the release of Maxwell ApplyID(TM), its next generation mortgage loan application and data enrichment API. The new release will enable clients - from brokers to national mortgage lenders - to pre-populate loan application data and develop new customer intelligence capabilities. The Maxwell ApplyID API unifies a consumer's data fragments from a host of sources into a structured loan application, enabling data-driven organizations to quickly build profiles of their customers. By collecting their consent and verifying the consumer's identity with their mobile carrier, Maxwell ApplyID gathers the borrower's information from its network of data providers to pre-populate fields in a loan application including personal information, employment history, income, real estate owned, financial assets and more. With this new API, clients receive a completed Fannie Mae 3.2 file with minimal input from a consumer. Along with the release of the ApplyID API, Maxwell's next generation loan application is the first consumer-facing experience built on the API. This new experience enables lenders of all sizes to dramatically streamline the lengthy loan application process by leveraging the API's intelligent data-collecting technology. ApplyID completely transforms the loan application experience, shortening what was once an arduous form into a small number of simple questions. "We are committed to looking for every opportunity to minimize the complexity and friction in the mortgage process," said Maxwell CEO John Paasonen. "Maxwell ApplyID accomplishes this by dramatically simplifying the application process, reducing the time it takes a borrower to begin a relationship with their lender. Furthermore, as an API, it fully enables data-driven organizations to optimize their businesses and processes in a new way." Recently named a winner of HW's Tech 100 for the second straight year, on the heels of receiving Progress in Lending's Innovation Award, Maxwell leverages proprietary algorithms built on its network of data aggregated across loans to enable lenders to accelerate the mortgage lending process from application to underwriting. Today, hundreds of lenders across the United States use Maxwell to close loans more than 45 percent faster than the national average.